Here are a couple of screen grabs of my Apatosaurus concepts that are shown in the featurette, Jurassic World: Building the Apatosaurus, produced by Legacy Effects. 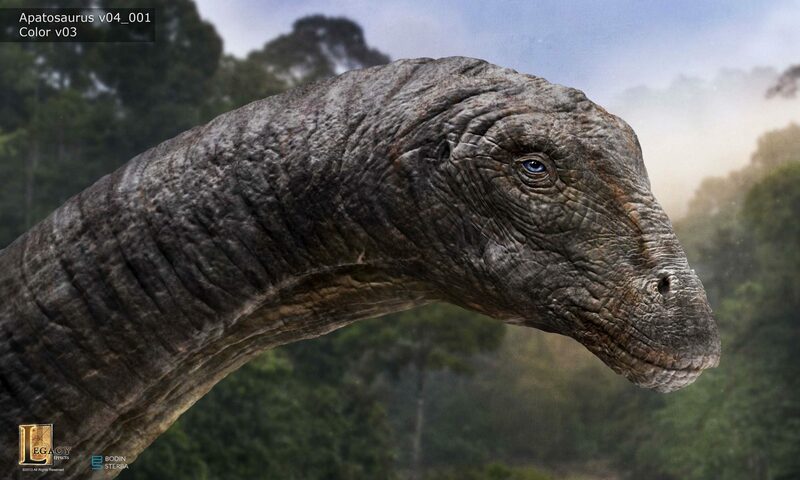 I digitally sculpted the entire Apatosaurus, which is what you see in the below designs, and then Legacy Effects had the head and neck milled out of foam. 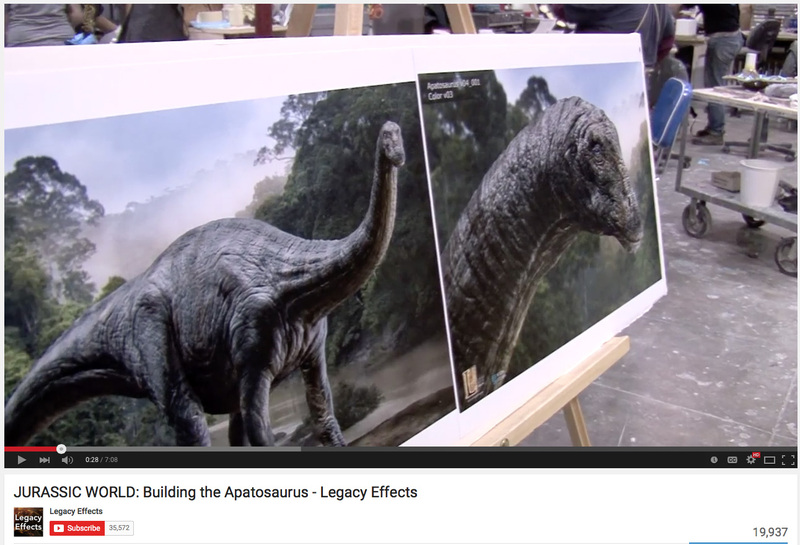 The whole team at Legacy Effects did an incredible job of turning my design into a live-action dinosaur. Here is a sneak peak at the designs. I hope to post these to my site some day soon. Be sure to check out the the whole process in the making-of featurette below!